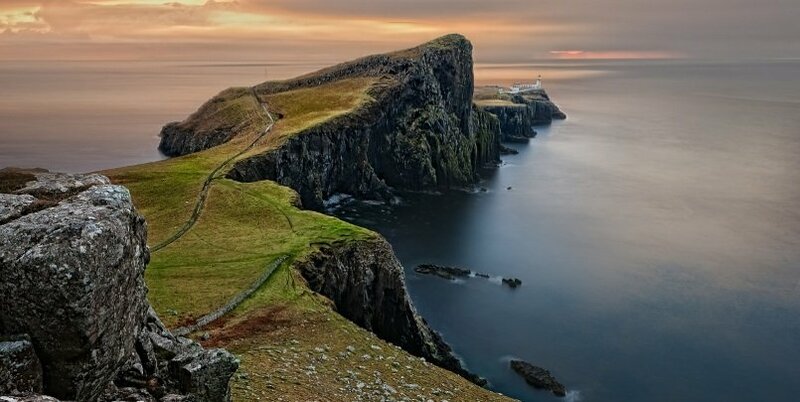 This 3 day Isle of Skye tour from Edinburgh takes you into the heart of the Scottish highlands and to the Isle of Skye, the second largest island in Scotland which is home to some of the most dramatic and breathtaking scenery in the country. 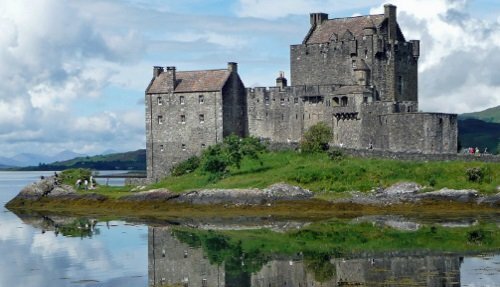 Led by an experienced and hands-on guide, this tour takes you to some of Scotland’s most impressive places such as Loch Ness, Glencoe, Eilean Donan Castle and the Quiraing Mountain pass. 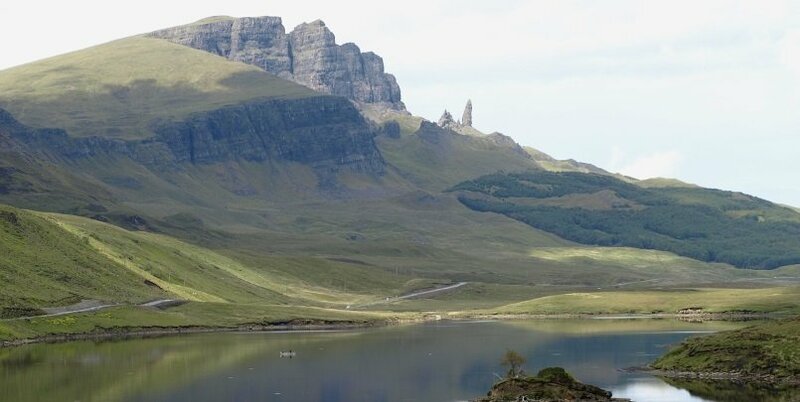 Travel in the comfort of a luxury 16 seater Mercedes minibus and spend two nights in the harbour town of Portree, Skye. 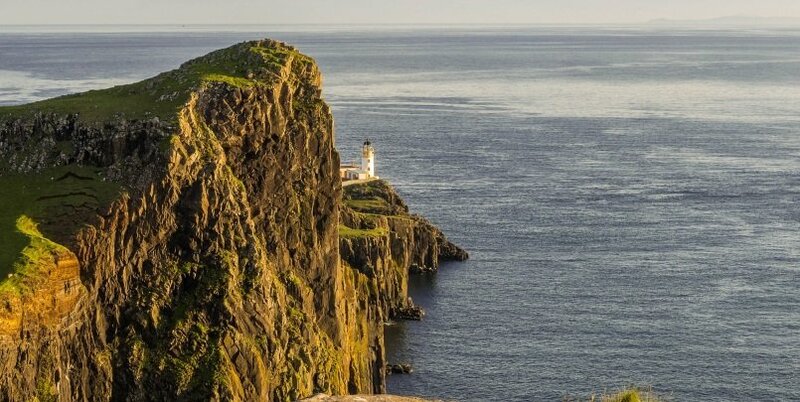 This 3 day Isle of Skye tour from Edinburgh is a fun, convenient, and cost effective way of exploring Scotland, with departures throughout the week from Edinburgh. 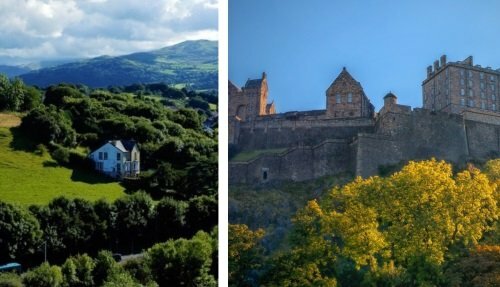 Depart Edinburgh at 08:30 and start the drive west passing the impressive Stirling Castle. Pass by Doune Castle, which was the set of Monty Python’s “Holy Grail” and stop at Callander, nicknamed ‘The Gateway to the Highlands’. 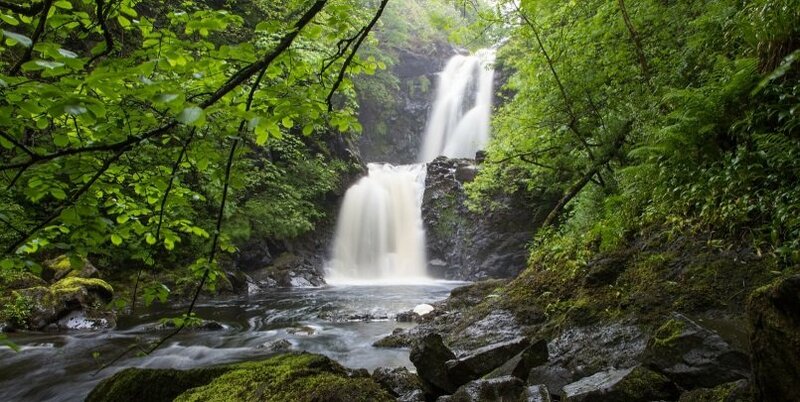 Cross into the highlands admiring the extraordinary landscapes and views along the way. Drive through Glencoe, one of the most dramatic mountain passes in Scotland, and was the site of a famous massacre of the Macdonald Clan in the 17th Century. After lunch in Fort William continue the drive passed Ben Nevis, Britain’s highest mountain. 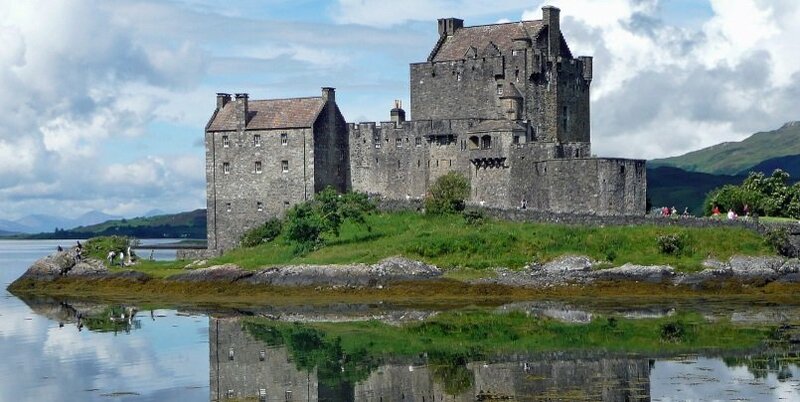 Stop at Eilean Donan Castle, a picturesque castle built at the site where three lochs meet. 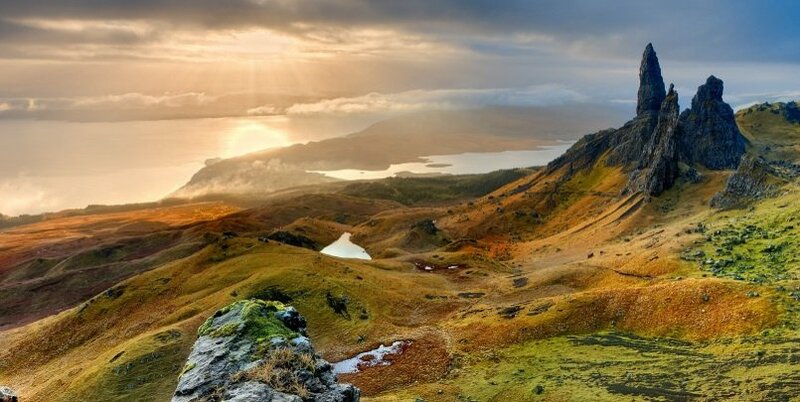 Overnight in Isle of Skye. 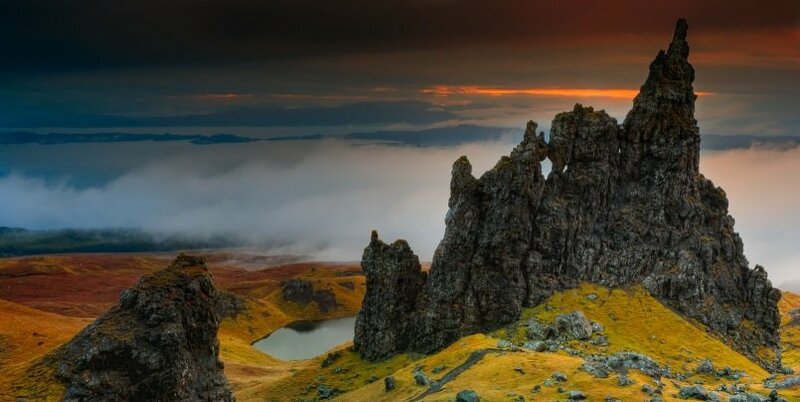 Exploring the Trotternish Peninsula and Quiraing, with geological formations dating back to the Jurassic period. Visiting Kilt Rock, with impressive waterfall and dramatic cliff scenery. Visiting Dunvegan Castle, the oldest continuously inhabited castle in Scotland. 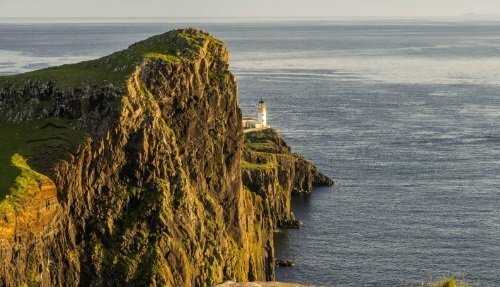 Enjoying the views at Neist Point, home to an iconic lighthouse and the best place in Scotland to spot whales, dolphins and basking shark. Return to Portree in the evening and overnight stay in the town. 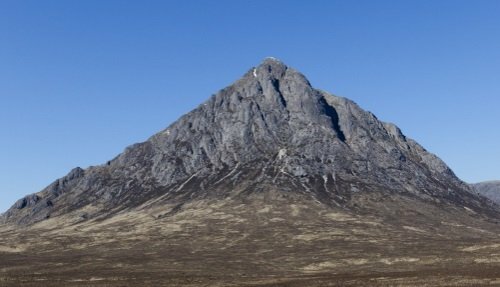 On the final day of this 3 day Isle of Skye tour from Edinburgh, you will leave the island and head back south through the Cuillin Hills. Stop to admire the extraordinary views at Loch Duich. 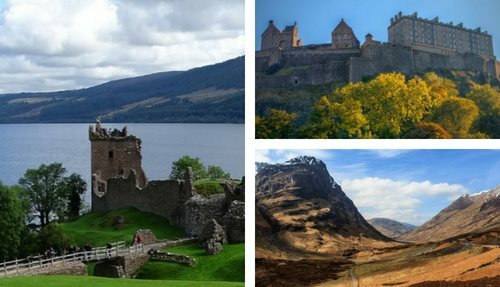 Visit Loch Ness, famous for its legend of the Loch Ness Monster. Pass Dalwhinnie, Scotland’s highest whiskey Distillery, and continue past Blair Castle, the ancestral home of the Clan Murray. Stop in one of the pretty villages in Perthshire for snacks before returning to Edinburgh, arriving at approximately 19:00. The tour departs at 08:30 from 6 Waterloo Place, Edinburgh, EH1 3EG. Tour includes driver/guide and transportation. On the booking form, you have the option to choose from one of our accommodation options or alternatively, book your own accommodation. The tour excludes meals, snacks and entrance fees. 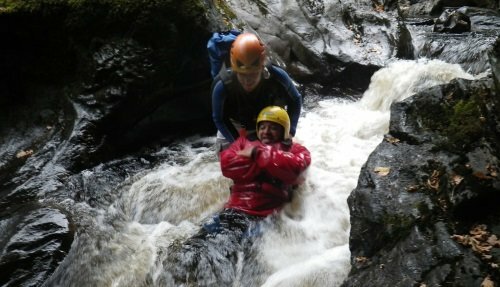 It is important to bring suitable shoes and clothing for walking and for the Scottish weather, which is very often cold and wet!